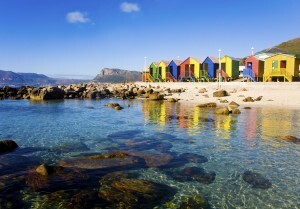 A true gem in the crown of South Africa, Cape Town is one of the most progressive and contemporary cities in Africa. From delightful wines to thrilling wildlife encounters, everyone will find something to treasure in Cape Town. The second-largest city in South Africa behind Johannesburg, Cape Town is the legislative capital of South Africa, housing the country’s Parliament. Considered the “Mother City”, Cape Town has charmed visitors for centuries with its dazzling beaches, lush vineyards, and affectionate residents. South Africa as a whole has been one of the more progressive African countries, embracing multiculturalism and a large gay community. Thanks to low humidity, the heat in Cape Town isn’t overwhelming to visitors during the summer months of December to February, but take care to use plenty of sunblock especially during the middle of the day. March to May is milder, cooling down from the summer months with some rainfall, but overall an ideal time to visit for fantastic travel deals. Winter from June to August can get quite cold and damp with higher than normal rainfall. October to November is springtime, with brisk breezes helping to clear the air from the stifling summer heat. Food in Cape Town is incredibly high quality, although travelers will want to avoid fresh produce from street vendors, as it commonly causes illness. Much of the seafood produced off its shores is often shipped to other countries to fetch significantly higher prices, such as tuna, cape salmon, kingklip, and kabeljou. Restaurants offer typical fare such as sushi, Italian, and fresh seafood, paired with exquisite local wines. 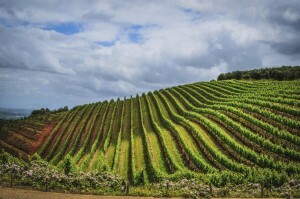 Just to the northeast of Cape Town are South Africa’s most impeccable vineyards, the Cape Winelands. Established in 1652 by the Dutch East India Company as a trading station and supply port, Dutch, French, and German settlers discovered that the hills were perfect for growing plump grapes for exceptional winemaking. Today Cape Town is world renowned for its unique wine selections and delicious selections, with something for every kind of palate. The city is defined not only by its wine production, but also by its proximity to Table Mountain. 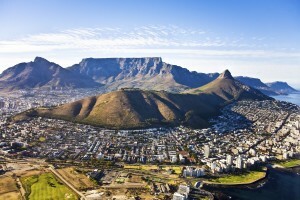 Take a trip to Table Mountain National Park, either by climbing the mountain or by convenient cable car up and down. Make sure to bring warmer clothes when traveling to the top of the mountain, as it’s always much colder at the peak. Keep an eye out for the adorable and tiny rock rabbit, whose closest relatives are massive elephants and manatees. One of the most popular must-sees in Cape Town are the overflowing and lush Kirstenbosch Botanical Gardens. Flora from all over South Africa are planted here, included rare and medicinal plants. The plants change every season, as well as the art and sculptures on display. In the summer months the amphitheatre holds local and international performances for visitors lounging on the cool, sweet grass. Probably one of the biggest draws of the region has to be Boulders Beach and its resident penguin colony. Near Simon’s Town, this beach is small and full of boulders, but it is truly the wildlife that attracts visitors. The colony of African penguins only immigrated to Boulders two decades ago, growing their numbers to a staggering 3,000 residents in their colony. During the summer months you can actually swim in the water with the penguins if you get to the beach before the crowds swarm in. Touching or catching the penguins is highly discouraged, as they can get aggressive and cause injury. Explore the Cape Wine region and indulge in the best the winelands have to offer. This package includes stays in Cape Town, Stellenbosch and a safari at Kapama Private Game Reserve (from $3,699 per person, restrictions apply). This package is perfect for those wanting to fully explore the beautiful city of Cape Town, one of the world’s most scenic destinations, nestled at the foot of Table Mountain (from $1,099 per person, restrictions apply). Explore the picturesque Cape Garden Route at your own pace. This self-drive route makes use of luxury boutique hotels and visits some of the most beautiful towns in South Africa. We also offer a free car rental promotion on this package (from $3,399 per person, restrictions apply). © Copyright 2015 Travmarket. LLC.